From Goodreads.com: "At the turn of the twentieth century, in a rural stretch of the Pacific Northwest, a reclusive orchardist, William Talmadge, tends to apples and apricots as if they were loved ones. A gentle man, he’s found solace in the sweetness of the fruit he grows and the quiet, beating heart of the land he cultivates. One day, two teenage girls appear and steal his fruit at the market; they later return to the outskirts of his orchard to see the man who gave them no chase. Feral, scared, and very pregnant, the girls take up on Talmadge’s land and indulge in his deep reservoir of compassion. Just as the girls begin to trust him, men arrive in the orchard with guns, and the shattering tragedy that follows will set Talmadge on an irrevocable course not only to save and protect them but also to reconcile the ghosts of his own troubled past. Sometimes you read a book and even early on in the book, you know that it's going to stick with you for a long time to come. 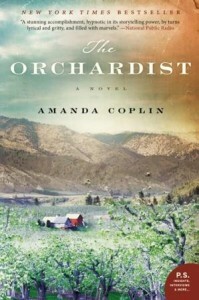 "The Orchardist" was definitely one of those books for me. 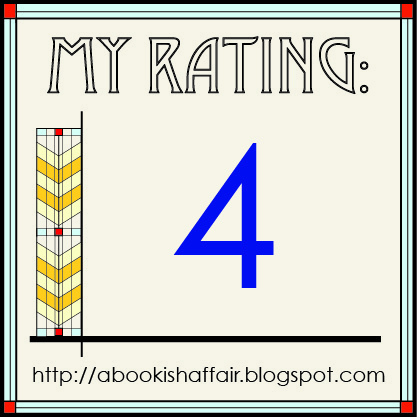 This book has really interesting characters, great writing, and a really great setting. It also has a lot of fantastic historical detail, which I know my fellow historical fiction lovers will really enjoy. The setting of the book is really great. "The Orchardist" takes place in Washington State in the very late 1800s and very early 1900s when Washington was still very much unsettled. Coplin paints a really good picture of what life was like back then. So many people came to Washington to start new lives while others have already been working the land for quite awhile. You can imagine the great expanse of Talmadge's land and you can see the orderly rows of the orchards. You can easily see why Talmadge is so drawn to the land. I haven't read a lot about Washington during this time so it was a great experience for me to visit it through this book. You can definitely tell that Coplin did a lot of research to make this book come to life! The characters in this book are one of the things that make this book so special. I really liked all of them. At times, I wanted to understand more about their motivations but my yearning wasn't enough to take away from any of the characters. I loved how Coplin was able to really weave the characters together to make such a well-rounded story. The writing in this book was also really stand out for me. At times, the writing was very lyrical. It's hard for me to describe but this book was filled with the kind of writing that while lyrical and simple makes a really big impact once you take in what Coplin is really trying to say. It's the kind of writing that really sneaks up on you! Bottom line: If you're looking for a historical fiction that will stick with you long after you've shut the book, this book is definitely for you! 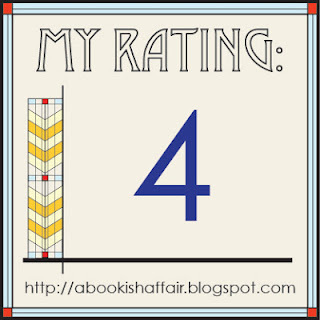 This is on my TBR list so I'm happy to see you enjoyed it and it stuck with you. This is on my TBR list too and some IRL reader friends have recommended it. Glad to see you also liked it! I have been wanting to read this one, thanks for the great review. Hopefully I will get around to reading it soon! I LOVED this book...glad to see others are enjoying it as well. This sounds good and I like that it is filled with historical detail. I love that feeling when you know you've read something memorable. Lovely review. Oh, I really enjoyed this one, too... the characters, setting and gorgeous writing are haunting! I loved that it was set in a relatively unfamiliar place for me, too; had a bit of armchair travel mixed in there! Seems everybody's loving this - which usually means I won't - but you kinda had me at the 'lyrical writing' part, so I may give it a try. This was one of my favorite reads of 2012, and I still remember it very well. "It's the kind of writing that really sneaks up on you!" I know exactly what you mean ... Coplin really has a way with words. I quite enjoyed her writing myself.